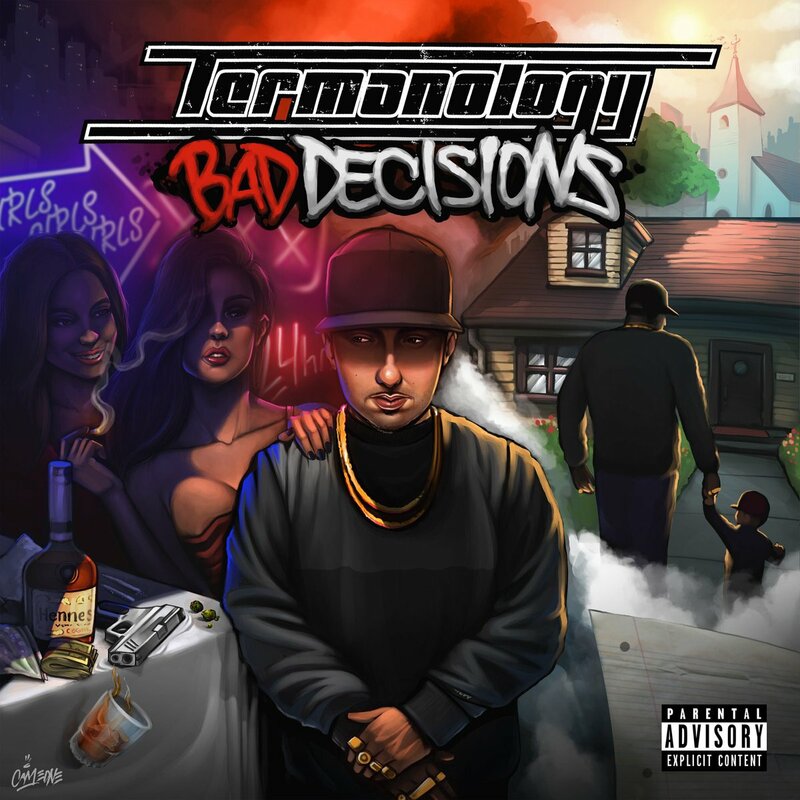 Since dropping his Politics As Usual debut in 2008, Termanology has been delivering projects on a yearly basis—including a couple with Statik Selektah, Shut Up And Rap, countless mixtapes, and plenty more. Now, after dropping More Politics (a sequel to his debut) in 2016 and teaming up with Slaine for Anti-Hero project with Slaine, the Lawrence, MA emcee is back in action with a new album called Bad Decisions. Locked in at 14 tracks—including “Passport Kingz” with Raekwon and “Termanator & The Machine” with Conway—the album comes equipped with features from ANoyd, Smif-N-Wessun, Willie the Kid, Benny the Butcher, and Crimeapple; over production from Statik Selektah, Dame Grease, Daringer, Erick Sermon, The Beatnuts, and more. Press play below and be sure to add Bad Decisions on your preferred streaming platform.